We have looked at some of the possible reasons for dating Christ's birth to December 25th, but how early was that dating settled upon? Eastern churches (especially Egypt) liked to celebrate on 6 January, but usually because that was the day of the Epiphany, when the Magi showed up and acknowledged the baby's special significance. The church at Constantinople accepted 25 December for the Nativity in 379, and Antioch followed in 386. Alexandria and the rest of Egypt accepted the December date in 431. The official choice of date did not come before the practice of celebrating it, however. There is a document called the Chronography of 354 that offers a clue. The Chronography was made for a wealthy Roman, Valentines, by one of the best-known scribes of the day, Furius Dionysius Filocalus (for that reason, copies of the manuscript through the ages have sometimes been called the Calendar of Filocalus). The Chronography is an illustrated calendar and almanac in several parts. Its 16 sections contain, among other bits of information, pictures of cities, pictures and important dates of emperors, the planets and the zodiac, calculated dates for Easter from 312 to 411 CE, and an error-prone catalogue of early popes. This means "On the 8th Kalends of January, birth of Christ in Bethlehem of Judea"
The 8th Kalends of January is 25 December. So a generation before the early churches started declaring 25 December the day of Christ's birth, it was already being celebrated as such by Christians. Was December 25th the default date for Christmas because of a Roman Saturnalia or because of deliberate copying with Mithraism? 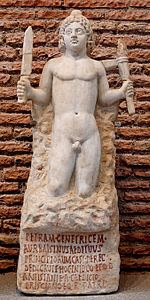 Connected with the Winter Solstice was Mithraism, an early competitor to Christianity. Mithras, a favorite of Roman soldiers, was connected to the Sun, which, because it returned every December 25th, was called Sol Invictus [Latin: "Unconquered Sun"]. Mithras' was celebrated on December 25th, called Dies Natalis Solis Invictus [Latin: "Birthday of the Unconquered Sun"]. The first few centuries of the Common Era debated over the divinity of Christ and the extent to which Christ was God and/or human. By the 4th century, the divinity had been largely agreed upon, but since Christ became human, it was important to pick a date of birth. December 25th was settled upon. 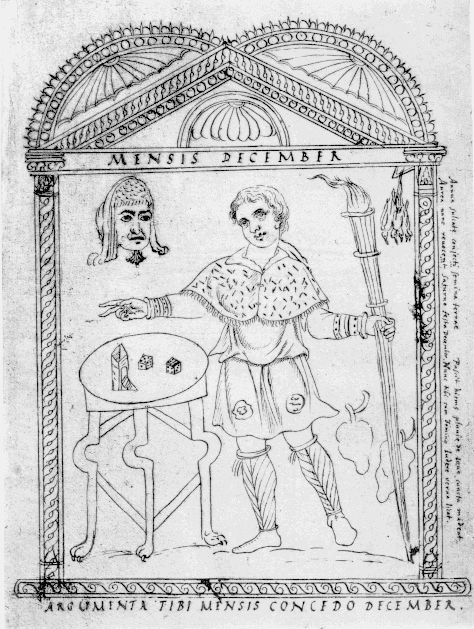 A persistent idea that the iconography of Christ was based on Mithras is interesting, but inconsistent, as the picture here suggests. True, both religions involved a communal meal (Mass, the Last Supper), and a sacrifice, but Christ was not said to be born from a rock bearing a sword and torch, nor did he perform Mithras' other great feat, killing a bull. And association of Christianity with the Sun did not require "imitation" of Mithraism. After all, Constantine converted when he saw the sign of the Cross over the Sun at Milvian Bridge, and the book of Malachi mentions the "sun of righteousness," associated with Jesus. Early churches were oriented toward the Sun, and some early Christian graves in the Roman catacombs have sun imagery on them, from before the Church settled on the Winter Solstice-related date for the Nativity. Also, the Feast of the Annunciation, when the angel told Mary that she had conceived, is on March 25th. (Note: March 25th for many cultures was the start of the New Year, since it marks the point after the Vernal Equinox when days become longer than nights.) Putting the birth of Christ nine months after the Annunciation just made sense, a theory accepted by the Church of England Liturgical Commission. So how early was Christmas celebrated on December 25th? Tomorrow we will look at the earliest known reference. 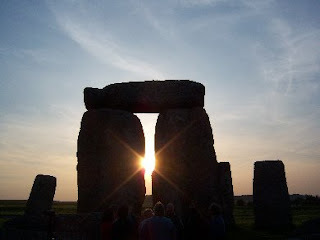 Sol stitium [Latin: "sun standing still"] is the origin of the Modern English solstice. It describes the day when the sun—which during the course of the year changes the position on the horizon where it rises and sets—seems to "stand still" because its forward movement seems not to have changed from the previous day. In the days to follow, its course seems to reverse, and whereas it seemed to rise (or set) further and further south (or north) each day, it now seems to be coming back. To early peoples, who (in the Northern Hemisphere) noticed the days getting shorter as the sun moved south on the horizon, it was good to know that the trend would reverse and the days would get longer again. They did not know that the reason was the tilt of the Earth's axis and the fact that it was pointed away from the Sun. All they knew was that the nights got longer. Memory told them that the same thing happened last year, and the Sun always paused for a day, and then returned. To the naked eye, it was not always easy to be certain that the Sun was returning and the days were lengthening; four days was a sufficient span to be certain. Therefore, although the 21st of the month (by the reckoning of people who used the ancestor of our current calendar) was the Solstice, it was the 25th of the month that was celebrated as a certainty of the return of the Sun. Some cultures designed ways to be certain that they had reached the "darkest part" of the year. The arrangement of rocks on Salisbury Plain that we call Stonehenge was apparently designed (among other reasons) to mark the Solstice. The day that they were certain the Sun was "returning" was a time for feasting. With winter established, livestock were slaughtered because they could not be easily fed during the next few months; fresh meat was now plentiful and it was a time for a mid-winter feast before hunkering down to wait out the harsh cold months until planting should begin. At length, when the novice has come forward, [he] is met by a man of wondrous pallor, who has black eyes and is so emaciated [and] thin that since his flesh has been wasted, seems to have remaining only skin drawn over [his] bone. The novice kisses him and feels cold, [like] ice, and after the kiss the memory of the [C]atholic faith totally disappears from his heart. Afterwards, they sit down to a meal and when they have arisen from it, the certain statue, which is usual in a sect of this kind, a black cat descends backwards, with its tail erect. First the novice, next the master, then each one of the order who are worthy and perfect, kiss the cat on its buttocks. Then each [returns] to his place and, speaking certain responses, they incline their heads toward to cat. This is from a papal bull called Vox in Rama ["A Voice in Ramah"], issued by Pope Gregory IX somewhere from 1232 to 1234, condemning a German heresy. 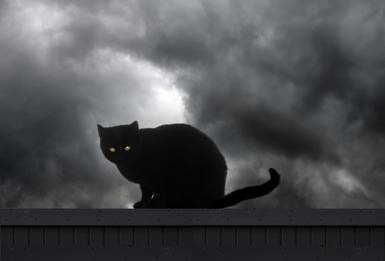 There is more, outlining the practices of this form of devil worship, requiring German authorities to root out and stop this practice, and kicking off a demonization of cats that caused them—especially black cats—to be killed in large numbers. This destruction of cats, and the subsequent increase in rodents population, enhanced the spread of the Black Death a little over a century later. ...and it is all very likely untrue. Let us start with the Black Death: killing all the black cats—or even more cats—in Western Europe would not stop the spread of the Plague in India, China, Constantinople, etc. The earliest text we have of Vox in Rama is from an 1883 collection printed in Germany of Latin texts. It is possible that Gregory sent a letter to Germany that got collected here, but it does not sound like a typical papal bull. If his injunctions were applied at all, they may have been applied only locally in a very few areas. 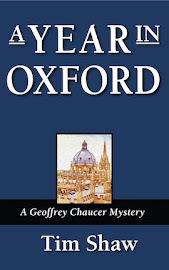 Some even question whether it is a late forgery: Gregory was very erudite, and a lawyer. This document is very unlike any of his writings. It seems like a document created later to support a theory of devil worship. This was not necessary to stain the reputation of cats, however. The 12th century English author Walter Map had already associated cats with witches who take feline form in De nugis curialium [Latin: "The trifles of courtiers"]. He relates many supernatural folktales. Maybe the independent nature of cats bothered people, who felt that creatures were created by God to be subservient to man. Maybe the fact that Muslims liked cats—Muhammad speaks well of them—made cats seem pagan and suspicious. Some combination of circumstances singled out cats for vilification. We will probably never know for certain the underlying reason. Although Pope Gregory IX felt it his duty to protect the Jews, he had issues with their Talmud, the collection of Jewish laws and practices. Was it harmful and heretical, or simply a way of life that was different? A converted Jew had presented to Gregory 35 places in the Talmud that he considered blasphemous to Christianity. This led to the Disputation of Paris (about which I really should write a post soon). 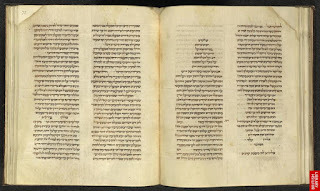 After the Disputation, a tribunal was assembled to decide whether the Talmud was dangerous to Christianity. One of the men involved, Odo of Châteauroux (c.1190 - 25 January 1273), was chancellor of the University of Paris. 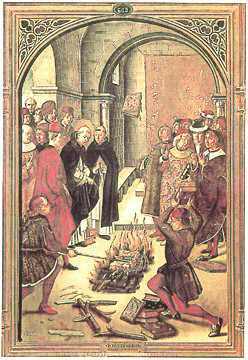 The decision of Odo and the tribunal was that the Talmud was heretical and should be burned. 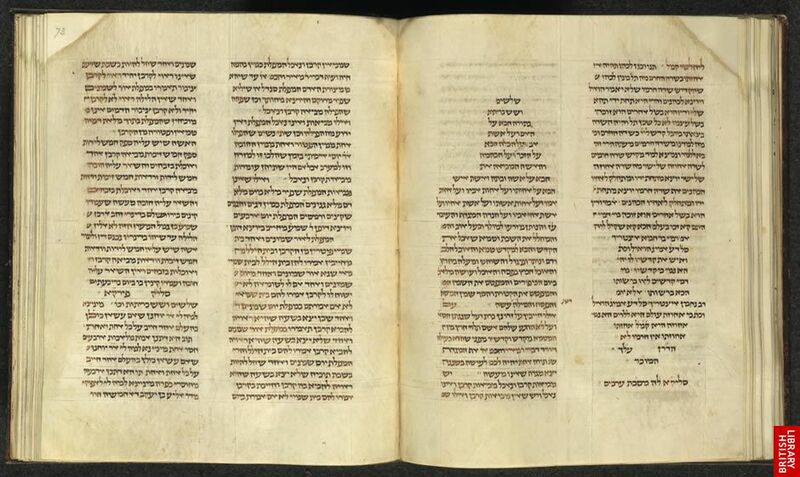 In 1242, 24 cartloads of copies of the Talmud and other Hebrew books were burned at a ceremony in Paris. Skip forward to 1243, however, and Pope Innocent IV was on the throne of Peter. At first, he continued the policy of Gregory, and Talmuds were gathered to be destroyed. He began to question, however, whether this policy was not in opposition to the Church's traditional stance of tolerance for Jews. In 1247, the pope listened to complaints brought to him by some Jews, and he asked Odo to take a second look, but this time to try to see it through the eyes of the Jewish rabbis. Was the Talmud truly heretical and a danger to Christianity, or merely misguided and could be treated simply as an error-prone text and studied as such, the way philosophy would be treated. He thought that the Talmud might prove harmless, and that the confiscated copies might be returned. Odo was having none of it, and he condemned the Talmud again, in May 1248. Innocent listened carefully, and also listened to the rabbis who claimed that they could not understand the Bible if they did not have their Talmud, which was so intertwined with the Old Testament. Against the objections of Odo and others, Pope Innocent decreed that the Talmud should not be burned, merely censured as erroneous insofar as Christianity is concerned. He decreed that the Talmuds in possession should be returned to their owners. The popes after Innocent continued this policy. The Talmud [late Hebrew talmūd, "instruction"] is the body of Jewish civil and ceremonial law. It includes the Mishnah (exegetical material embodying the oral tradition of Jewish law) and the Gemara (rabbinical commentaries on the Mishnah). The Talmud had a rocky existence in Christian Europe, even at the hands of one of the popes who was most supportive of the Jews, Gregory IX. Pope Gregory IX (c.1145 - 1241) was responsible for the Decretals (a codification of canon law that some say was designed to establish his authority over the Church) and the Papal Inquisition (and let us not forget his part in the demonization of cats). This centralization of power of the papacy seemed to inspire him to be the guardian of all God's children, however. He was steadfast in his protection of persecuted Jews, so long as they were not guilty of what he considered to be sins. In 1233, for instance, Jews in France complained to Gregory that they were being mistreated. He declare that any imprisoned Jews were to be set free and not injured in their person or their property, so long as they agreed to forsake usury (the practice of charging high rates of interest, considered to be sinful due to the Bible). In the 1234 Decretals, Gregory declared the doctrine of perpetua servitus iudaeorum. That is, the Jews were in perpetual political servitude until Judgment Day, making them officially second-class citizens in the Empire. 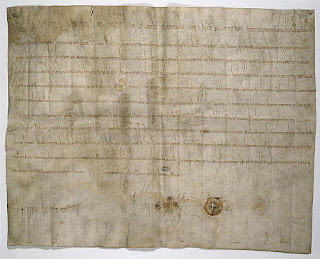 As abhorrent as this was, it also made Gregory treat them as a group that needed his protection, so that in 1235 he re-affirmed an earlier papal bull, Sicut Judeis ["and thus, to the Jews"], which declared their right to enjoy lawful liberty. 1236 was a busy year for Gregory. He presented a list of charges against Emperor Frederick II concerning offenses against the Jews. In September he wrote to several bishops of France, requiring them to make sure that Crusaders who had killed and robbed Jews make full restitution. He also wrote to King Louis IX of France concerning the same. Gregory had a serious problem, however, with the Talmud. He had to determine if it fell into the category of "heresy." His conclusion was harsh, but fortunately not universally accepted. We will look at that tomorrow. 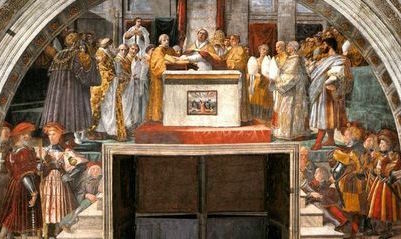 The post Charlemagne and the Popes mentioned Pope Leo III taking an Oath of Purgation to "prove" his innocence of accusations made against him. It seems strange to a modern audience that simply swearing that you are innocent is enough to exonerate you, but the Middle Ages believed that God who sees the sparrow fall observes your deeds and will treat you accordingly if you lie. Therefore, swearing an oath puts yourself firmly into God's hands for judgment, and no one in his right mind would do that if he were actually guilty. There were two levels of purgation [from Latin purgare "to cleanse" by way of Old French purgacion]. Vulgar Purgation was the clearing of one's name through ordeals such as trial by fire or water. You can read about those here. I, __________, now under process before the Session of the Congregation of C for the sin of _, alleged to have been committed by me: For ending said process, and giving satisfaction to all, do declare, before God and this session, that I am innocent and free of the said sin of charged against me. And I hereby call the great God, the judge and avenger of all falsehood, to be witness, and judge against me in this matter if I be guilty. And this I do by taking his blessed name in my mouth, and swearing by him who is the searcher of the heart, and that in sincerity, according to the truth of the matter and my own innocence, as I shall answer at the great day of judgment, when I stand before him to answer for all that I have done in the flesh, and as I would partake of his glory in heaven after this life is at an end. We saw here how Charlemagne captured his ex-father-in-law, King Desiderius of the Lombards, and imprisoned him in the Benedictine Abbey of Corbie. Sticking your political enemies away in a monastery was an efficient and humane way to eliminate them from the scene. Monasteries were often remote; the monastic life was carefully regulated, and so someone trying to leave would be discovered quickly; it was not as harsh as a dungeon; your enemies were given plenty of time to contemplate their sin of being your enemy. In the turmoil that followed the dividing up of the kingdom by Charlemagne's son, Louis the Pious, Louis' grandson Charles failed in his attempt to gain some power and was imprisoned at Corbie. He escaped, however, and was made Archbishop of Mainz by Louis the German, showing that imprisonment in a monastery did not mean you were a convict with complete loss of rights or privileges in the eyes of the world. 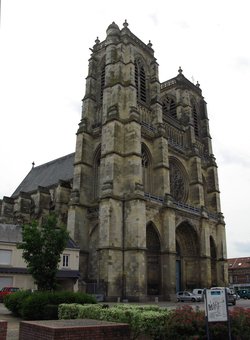 Corbie, in Picardy, was particularly favored by Charlemagne because his family had close ties to it. Shortly after Desiderius was sent there, Charlemagne's cousin Saint Adalard became its abbot. Corbie was a desirable position, because it was granted freedom from the jurisdiction of local bishops. One of Corbie's most prominent features—not surprising given its Carolingian patronage, was an extensive library. This library not only had numerous writings by the early Church Fathers, but also many classical texts and non-religious texts. The geometry of Euclid, as transmitted to the Middle Ages by the works of Boethius, was of great interest to scholars at Corbie. A 9th century monk at Corbie, Headboard, wrote extracts from Cicero, microbus, and Martianus Capella. This love of scholarship extended for centuries: a 17th century monk of Corbie, Jean Mabillon, is considered the father of paleography, no doubt after studying the centuries of developing styles of scripts. 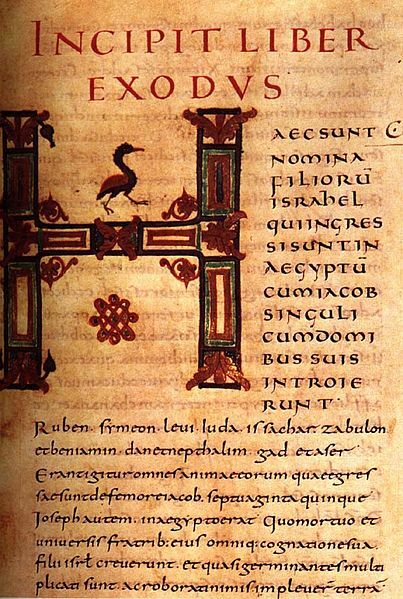 The distinctive script called Carolingian minuscule was developed at Corbie about the time that Saint Adalard was abbot. This remarkable center of learning did not survive until modern times, alas. In the 17th century, 400 manuscripts were sent to a monastery in Paris and later sold to a Russian diplomat. During the French Revolution the remaining 300 manuscripts at Corbie were sent to Amiens. About 200 manuscripts from Corbie are known to exist today. The monastery itself was damaged extensively during World War I, but has been rebuilt. I mentioned here how Charlemagne fought and defeated Desiderius, King of the Lombards, and sent him to live out his days in a monastery. What I left out was that Desiderius was Charlemagne's father-in-law. Was his father-in-law, that is. Charlemagne married Desiderius' eldest daughter, Desiderata, in 770. Marrying her was a political move, forging an alliance between the Lombards and the Franks. The marriage was annulled in 771, however, and she was sent back to her father. The political alliances of Desiderius were all over the map, so to speak. 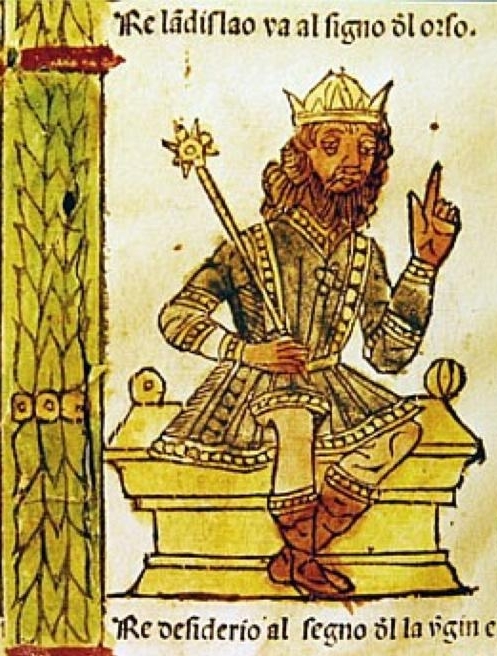 When he was named King of the Lombards upon the death of his predecessor, King Aistulf, Aistulf's predecessor, his brother Rachis, who had been in a monastery, left it and tried to take the throne. Desiderius defeated him with the help of Pope Stephen II, after promising that he would give lands to the pope. The pope went for this, since Aistulf had made raids against papal lands. Desiderius, however, was not very forthcoming about handing control of the territories over to the papacy, so by the time Pope Stephen III came along, he was opposed to Charlemagne's marriage to Desiderata, and pushed for the annulment. Desiderius later tried, like Aistulf, to encroach on papal-controlled lands around Rome, and this time Pope Adrian I called on Charlemagne's aid. It was expedient for Charlemagne to take up the request, since it allowed him to do a favor for the pope and annex Lombardy. There was another "family connection" between Charlemagne and Desiderius. In 774, Charlemagne's brother Carloman died. Carloman's wife, Gerberga, might have expected her sons to inherit his territory, but Charlemagne simply absorbed it into his own. Gerber fled with her sons to Pavia (and later, Verona) and took refuge with Desiderius. Desiderius, unhappy with the treatment of his daughter by Charlemagne, took in the refugees. This contributed to Charlemagne's willingness to besiege Pavia in aid of Pope Adrian. The family was likely sent to monasteries, just like Desiderius, who was surely sorry that he ever got mixed up with the Frankish royal family. The Vatican is considered the "Smallest Country in the World." Its 0.17 square-mile size (110 acres) makes it the smallest recognized independent state in the world. There was a time, however, when the popes in Rome held much more territory in the same way any temporal lord would. Much of that territory started with a grant of land from Charlemagne's father, Pepin. The Donation of Pepin gave lands adjacent to Rome to Pope Stephen II in two parts (one in 754, one in 756). 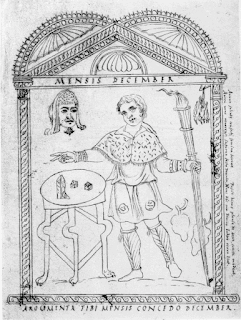 In 774, Pope Adrian I named Pepin Patricius Romanus, urging on him the protection of Rome. Pepin took this role seriously, as did his son, Charlemagne. When in 772 the papal lands were invaded by King Desiderius of the Lombards, Pope Adrian I called Charlemagne for help. Charlemagne attacked Desiderius, captured him, and banished him to the Abbey of Corbie. After this, Adrian got even more land, including Ravenna and five cities on the Adriatic Coast. Adrian also made the historic decision to change the dating of his decrees. Although calendar years were established by now across Europe, it was customary to date documents according to the reign of kings or emperors. There being no emperor in Rome anymore, documents would be dated by the eastern emperor in Constantinople. A papal document in 772 would be dated "Constantine V 31" (Constantine's rule began in 741, although he had co-ruled with his father since 720). Pope Adrian showed great respect for Charlemagne by dating his documents from then on according to Charlemagne's regnal years. Charlemagne was appealed to again by Pope Leo III, when the pope was accused of adultery and perjury. Charlemagne agreed to arbitrate. He went to Rome, and on 1 December 800, he met with both sides. There was no easy conclusion, and Leo was finally cleared by taking an Oath of Purgation on 23 December, essentially swearing that he was innocent. 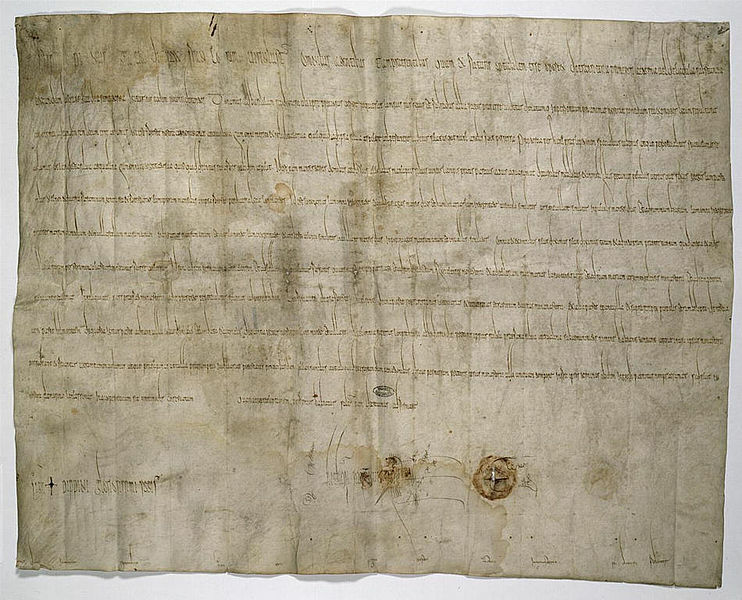 Charlemagne accepted this and prevented the pope's enemies from causing further trouble. Everyone knows the story of Charlemagne being crowned Holy Roman Emperor on Christmas Day 800 by Pope Leo, but few realize how much led up to it. Charlemagne "earned" this recognition, in the pope's eyes, because of all that he and his family had done for the papacy.